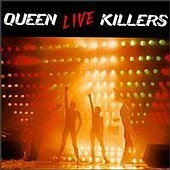 I've listened to Queen's "Live Killers" album at least a hundred times, and always loved every minute of it. After downloading my first unofficial concert recording from Queen's 1979 European tour (an mp3 rip of the 13-song Italian Live In Cologne bootleg CD), I was thrilled with the fact that all 13 tracks were versions which didn't appear on the official release. However, as I began to acquire more audio and video from the tour, I did eventually become curious as to which concerts each of the tracks on Live Killers came from. The Frankfurt recording finally revealed some of the answers, leading me to get this project underway in about 2001. For many Queen enthusiasts, the Live Killers album has been a long and unsolved mystery to this day. Being a proud analyst of Queen's live performances, I am very happy to have taken the first proper crack at it. Some inspiration has come from The Garden Tapes website, dedicated to deconstructing Led Zeppelin's "The Song Remains The Same". The webmaster, Eddie Edwards, has surely spent endless hours going through the unofficial/bootleg Zeppelin recordings from the New York 1973 concerts for his analysis, and he has done a fantastic job presenting his findings in an easily readable manner. His work on Zeppelin's 2003 2-DVD set and 'How The West Was Won' is equally fantastic, so I encourage everyone to observe his work, even if you're not a big Zeppelin fan. It is worth seeing, simply for all the hard work that went into it. I stand in awe, glancing in his direction with utmost respect. We can assume that no material came from USA/Canada 1978 or Japan 1979, since the liner notes in Live Killers specify the material was from European shows between January and March 1979. Furthermore, during the January 26th concert in Brussels, Brian May mentioned how it was the first show they were recording for a live album. While he once said all shows from 1974 (or so) onward were recorded, those are most likely raw mono soundboard recordings done for the band's own listening purposes. Regarding the 1979 shows, Brian was surely referring to proper multi-track recordings, so we can then rule out any pre-Brussels shows as being candidates for Live Killers. "I am never really satisfied with anything I do. I'm a non-conformist. I think the live album was only a testimony of what we were doing on stage at that time. I am somehow unsatisfied, because we had to work hard in every concert and there were serious sound problems to solve. Sometimes the concerts sound very good, but when you listen to the recording you want to kill yourself because of how awful everything sounds. Out of ten or fifteen concerts we recorded, we could only use the tapes of three or four of them to edit Live Killers. Anyway, the sound of live albums is never good. The main reason is that the audience has to be included and the crowd noise affects the instruments. As you may notice, Live Killers is not my favourite album at all." Around this time, Roger Taylor had similar sentiments: "I don't think it turned out anywhere near as well as it could have done." Roger Taylor took it a step further, openly stating his dislike for Queen's first live album on numerous occasions. He once joked in a 1979 interview that "the only thing live about Live Killers is the bass drum." Although this is a bit of hyperbole, the comment does offer some insight into exactly how much studio work went into the live album. Still, credit should be given to the original editors who created what is, upon initial listens at least, a seamless live LP. There are at least 20 cuts throughout Queen's Live Killers album during songs that instantly transport the listener from one concert to another. Thoughts of the contrary are perhaps manifestations of people's fears of the mere possibility of it not being a pure and honest live album. I, too, wish Queen's only live album from the 70s was a mere compilation of two or three shows, but the reality is far more complicated than that. Fortunately there are audience recordings that act as time capsules, revealing exactly what happened at the shows. Editing and overdubbing live albums is the rule, not the exception. Consult Led Zeppelin's "The Song Remains The Same", "Kiss Alive", and Thin Lizzy's "Live And Dangerous" for further reading if needed. Here is a great article on the album to get you into the mood.